Moving, like all good adventures, can be full of fun as well as stress. The hardest parts of any move are typically the packing and the unpacking stages. Those two seem to take so long sometimes. Everyone I know seems to not mind one but dread the other. For me, I don’t mind the packing, but I would skip the unpacking part if I could. Organizing a new home is fun! Taking everything out of boxes? Not so much. After making five long distance moves in the past 11 years, I’ve developed a system that not only helps make unpacking easier, it also helps keep us organized. Before I begin packing, the first thing I do is to decide if I’m going to use a packing system of some sort to keep the boxes organized. Some people like to colour code their boxes, some like to number them. If you search for moving tips on Pinterest you’ll find a ton of different ways people approach packing. 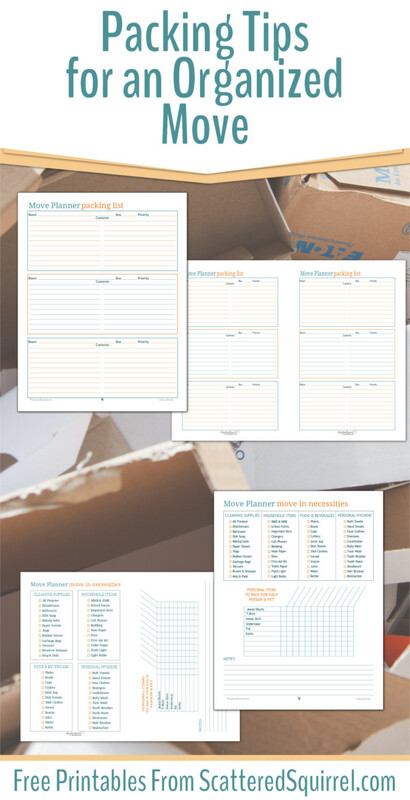 For myself, I use my packing list printable and number my boxes. It enables me to start packing anywhere, at any time. It makes unpacking a little easier, because I can see what’s in each box. newspaper, old magazines, and other cushioning items for protecting the breakables. Having all my packing supplies in an easy to tote basket makes it so much easier to move around the house while packing. 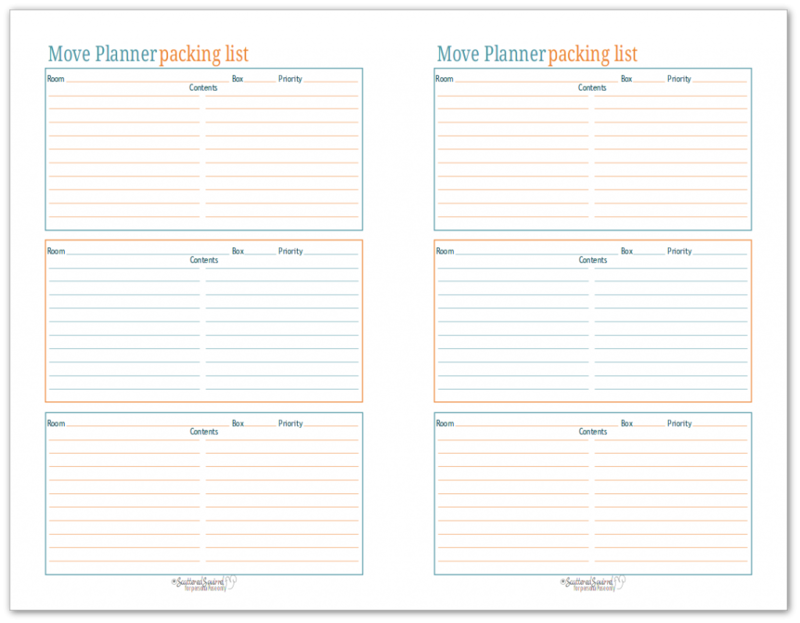 I tackle packing up our home in four rounds. 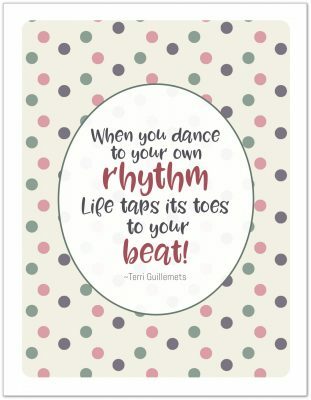 Breaking it up into rounds or stages really helps to keep me from feeling overwhelmed and it also make the packing process a little easier for me. I put all the donate and toss items right into the appropriate bag or box. Then I tackle what’s in the pack pile. I pack it all up, right then. Jotting down items on my packing list so I know where to find them later. I pack these items accordingly. These are going to be the items that are either the very last things loaded into the moving truck, or they’re the items that are being loaded into our vehicle. 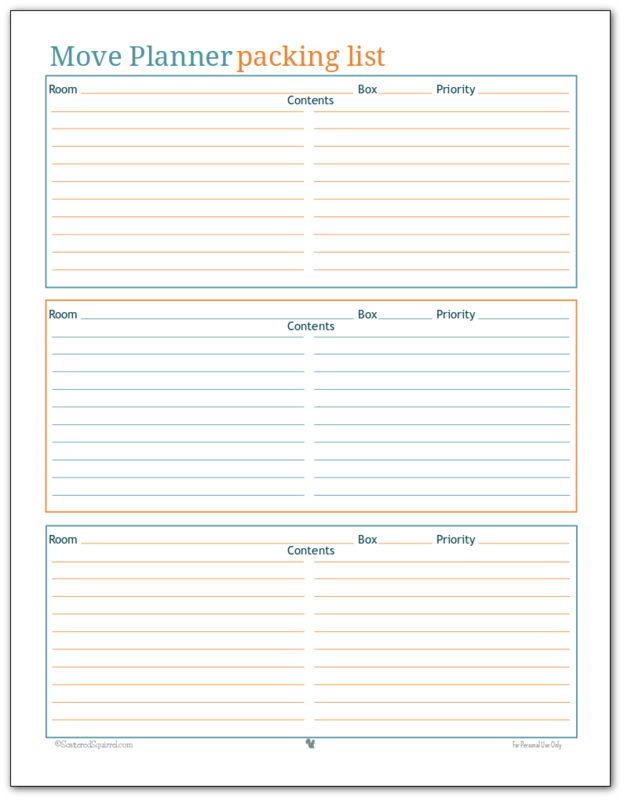 Having them set aside ahead of time allows me to stop fretting that I’ll forget something. And if I find another items that belongs in this category I can easily put it where it goes. Another advantage to having the important things and essentials taken care of early means I can easily breeze through the rest of the packing without having to think about it too much. I like to think of this as the home stretch round. It’s time to start packing up everything but our most essential items. It means we’re going to be roughing it for a week or a two, but it also means we’re almost on our way to our new home. For this round I go through every single room and pack everything that we can manage without for a week or two. Packing up this stuff early serves two purposes. Round four is like a liquidation sale – everything must go! 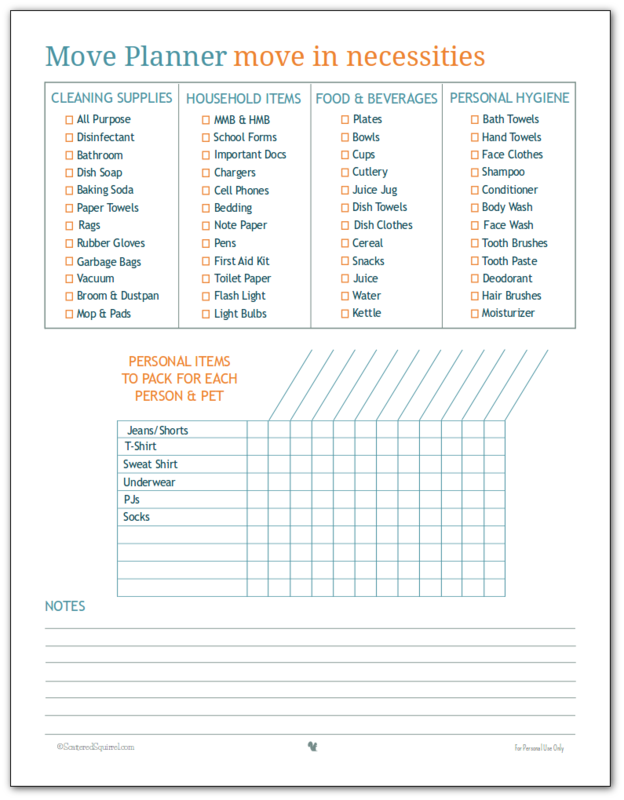 Because we did the bulk of the decluttering in round one, this time around is super easy. You’re just packing things up. Going through the different rounds or stages also means the items you’re packing in this final round are your essentials. These are the first things you’re going to want to unpack at the new home. If you like, use coloured duct tape on these boxes so you can quickly see which ones you need to unpack first. 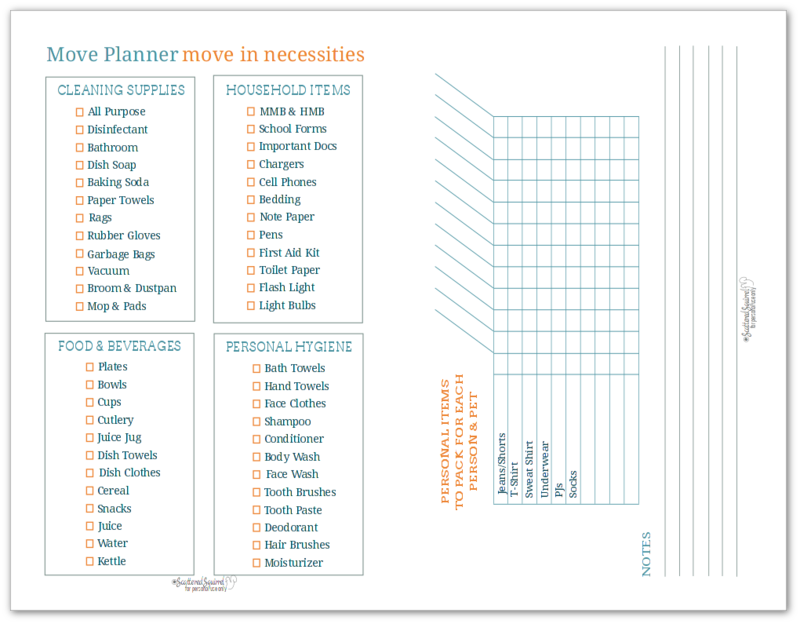 I use the printable above to help me figure out what I need to have accessible right away when we get to our new home. If you use the numbered box system like I do, unpacking is a breeze. Start unpacking the highest numbered boxes first, and you’ll have your new home set up and running quickly. Moving to a new home is a lot of work. It can feel overwhelming and daunting at times, but if you break it down into smaller rounds or stages, it can really help you feel more in control of the process. And, if you’re like me, stress exacerbates my scatter-brain tendancies. Being able to narrow my focus into segments like this helps to keep me moving forward and cuts down on how much I flit from task to task. 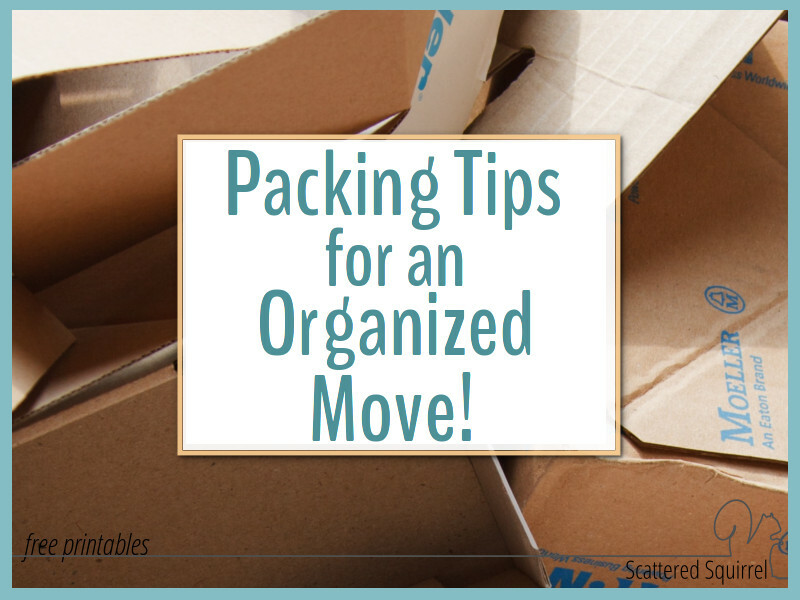 I hope the packing tips I’ve shared in this post help you with your next move, as much as they’ve helped us with many of ours. Do you have any moving or packing tips or advice to share? I’d love to hear them. Drop me a line in the comments down below! If you know far enough ahead, plastic grocery bags are the world’s GREATEST. packing. material. ever. (I was lucky one move, I got boxes and boxes of screwed up bags, still in the boxes they came in, from the local grocery store!) You’ll need about 10-20 times what you think you will, so start early. They don’t leave ink, if they’ve been used, they’re crumpled enough to cushion even the most breakable of items nicely, and recycling them when you’ve moved is super easy. Don’t think that getting them from the recycle bin will shorten your “lead time” – ppl throw FILTHY bags in there, sometimes garbage and moving is miserable enough, that will only gag your day to no end! That’s my tip and unfortunately, we don’t EEEEEVEN have enough lead time for someone who has been less of a clutterbug than I usually am, and threw all the ones I had, out. Gawd, I dread this and what’s worse? My always-in-a-pinch 4 boys are all grown w/ families now and mostly moved away! Who’s gonna help us? Even boxes are a challenge, handicapped as we are, and my husband is literally chair-bound. A prayer or two would be greatly appreciated. Mainly, that we can stay here! However, God’s Will be done and may He please help us through it. I am so sorry you’re facing the possibility of moving when you don’t want to. That just makes a stressful situation all the more stressful. I will certainly keep you in my thoughts and prayers. I absolutely love shopping bags for packing. I didn’t have nearly enough to use for padding, but being able to wrap things in the them where I used newspaper for padding was so nice because they didn’t get the ink all over them.